Being a new parent, all I want was to be the perfect parent, like any other person would want. This book taught me how a 'perfect parent' is merely an illusion, the more you try to achieve it, the further you move away from it. This book also made me feel better about making the mistakes any first time parent makes, I love the phrase 'I was your guinea pig mom!'. I also loved how the author, Shelja, recommends taking the book slowly, making notes, discussing things with the partner or friends who are parents themselves. Shelja emphasizes on how you should not put pressure on your child to work in a particular manner, and just let them be and encourage what they're internally wired to be good at. This is very vital in today's date, when parents put a lot of pressure on their kids, which lead to issues like depression and suicide. The book is divided mainly into 6 parts: Connect, Coach, Connect & Coach for Teens, Care, Community and Commitment. Though my kiddo is just about 10 months old, I shall preserve this book and read again, so that I can remind myself of things that I know I am bound to forget. Dr Shelja is a child & adolescent psychologist and family therapist. She loves children and believes that more than professional training, the children – hers as well and those of other parents – she has worked with for over two decades, are the ones who taught her about life. 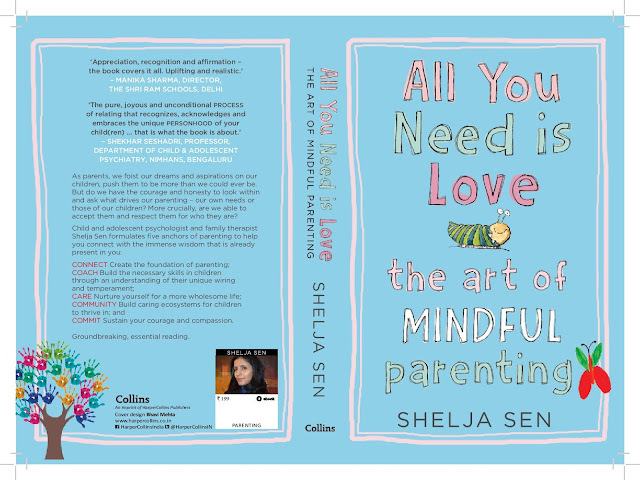 The Book "All You Need Is Love" will convince you that parenting is not just about bringing up children; it is about empowering ourselves to be better human beings. It is not about teaching but about learning from our children. This is a book of strategies, tools, reflections and anecdotes for twenty-first century parenting. It will help you connect to the immense wealth of wisdom that is already present in you. You can buy the book (paperback or kindle edition online. In a country like India, vastu expert in mumbai is considered one of the basic requirements while constructing a property or building according to pre-specified principles. It is necessary to follow these principles for wealth, health, fame and prosperity in life. Though it has become difficult to follow each and every principle in the present era, it is important to make maximum use of tenets in order to achieve peace and harmony in life.